Hyundai always seems to have passenger comfort in mind. Inside these vehicles, you'll find high-quality materials and generous cushioning. With innovative features - like second-row seats that slide and recline - you'll thoroughly enjoy your next Hyundai road trip. With Hyundai's panoramic sunroof, all passengers enjoy an excellent view of the sky above. On the other hand, Kia models strive to deliver much more than economy comfort. While Kias may be known for their affordable prices, they've become pretty classy over the years, supplying substantial passenger space and supportive seating. For modern safety, we favor Kia's high-tech features. The Uvo eServices telematics system provides the means for quick emergency assistance, thanks to options like on-demand roadside assistance and automatic collision alert. Kia's lane departure warning system includes a prevention feature that will actively guide you back inside the proper white lines. Hyundai also aims to put passenger protection first. Throughout its lineup, you'll find impressive crash-test scores and high-tech driver aids. The frontal collision mitigation system includes pedestrian detection. If it senses an imminent crash, it can actively apply the brakes to help you come to a quick stop. Once again, Hyundai has the overall edge. You'll love the central Blue Link system, which supplies smartphone integration features like Android Auto connectivity and music streaming capabilities. With HD radio, entertainment options seem endless. 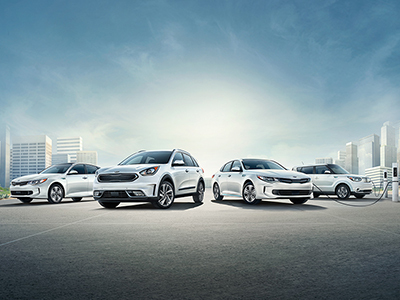 When it comes to technology, Kia might not be the overall winner, but the automaker does offer a strong showing. With the upgraded 7-inch touchscreen, you'll enjoy quick access to important apps. Keyless entry and ignition features save plenty of time in the parking lot. For a dependable ride, choose Hyundai. Whether you require a crossover that can tow thousands of pounds, like the Santa Fe, or a high-performance luxury sedan, like the Genesis 690, you'll discover a smooth, capable ride. Hyundai engines also balance impressive power with moneysaving fuel economy. The Hyundai make is known for its solid, capable performance. Kia offers a range of thrifty sedans, hatchbacks and crossovers. Some may not be quite as swift as what you'll see in the Hyundai lineup, but you can generally expect predictable steering and responsive handling. Both makes offer a wide range of models to suit a number of different lifestyles, but, in the long run, Hyundai comes out on top. 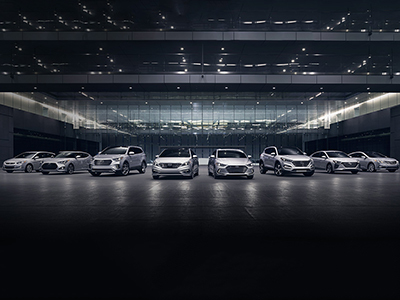 Hyundai vehicles are dependable, high-tech, and modern. When you choose Hyundai, you'll enjoy impressive interior comfort and world-class infotainment gear. Hyundai models are designed to maximize your on-road experience, so you'll find plenty of head and legroom all-around. On the road, these vehicles are known for their solid, responsive performance. Find out for yourself by taking a Hyundai on a test drive today!